Peggy, the southern belle. Kath, the pragmatist with the only Norfolk accent in New York state. Gayle, the preacher with healing hands. Mrs Colonel Audrey Rudman, forever keeping up the standards of the Officers' Wives Club. Lois, who's never had a thought she didn't voice. Loudly. Their menfolk may be long retired, but once a US Air Force wife, always an Air Force wife, and the bonds of friendship forged in base after military base are still going strong fifty years later. Time is rendering its Accounts Payable for all of them now: hip replacements, eye problems, forgetfulness and departures. 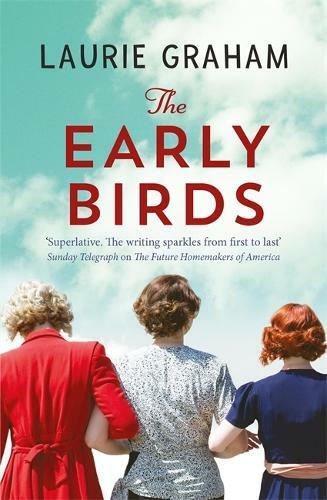 In this hymn to lifelong female friendship, Peggy soldiers on through new upheavals, including her ex-husband Vern's Alzheimer's diagnosis, the death of one of her nearest and dearest, a life-changing house move and the world-shattering events of 9/11 with the help of her sharp-tongued, often eccentric, but always loyal group of friends.